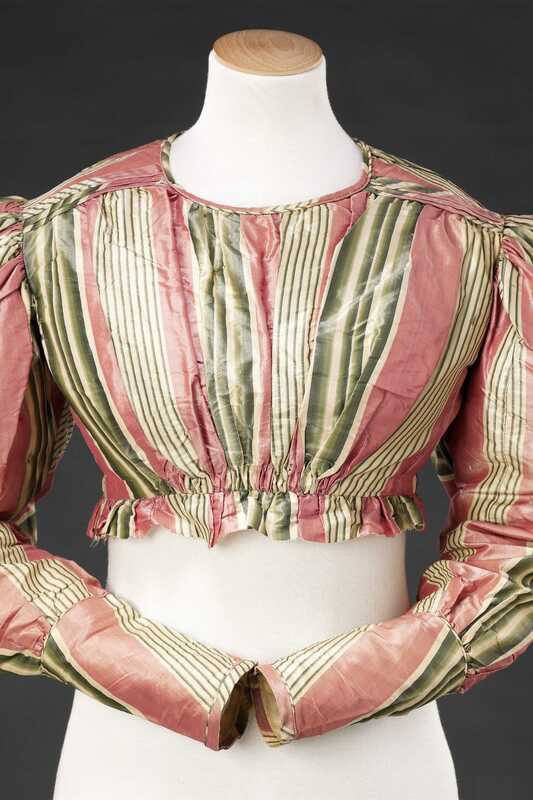 This bodice was once a dress which has had its skirt roughly cut away below the waistline for reuse, probably as a child’s garment. 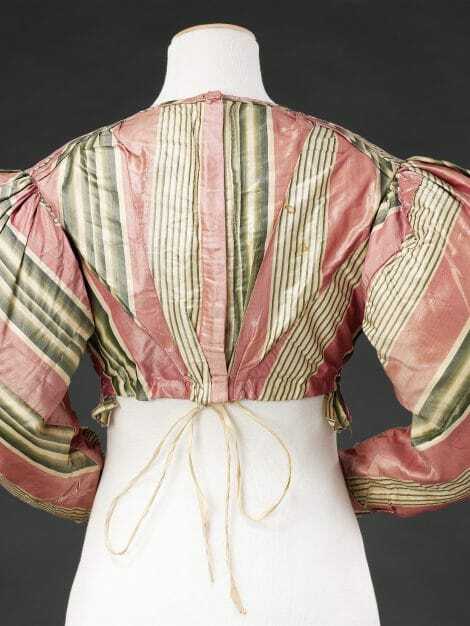 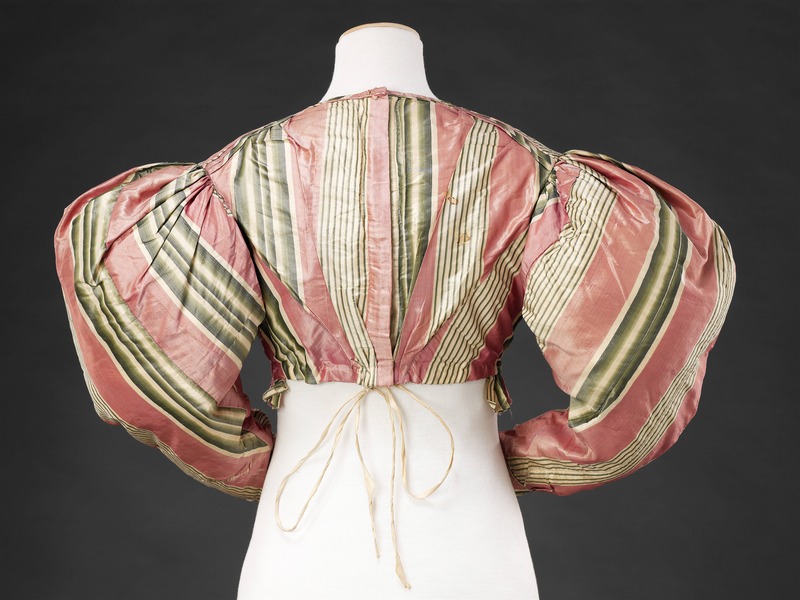 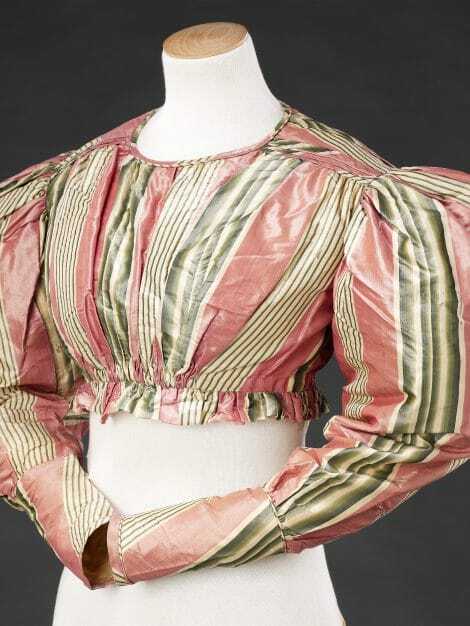 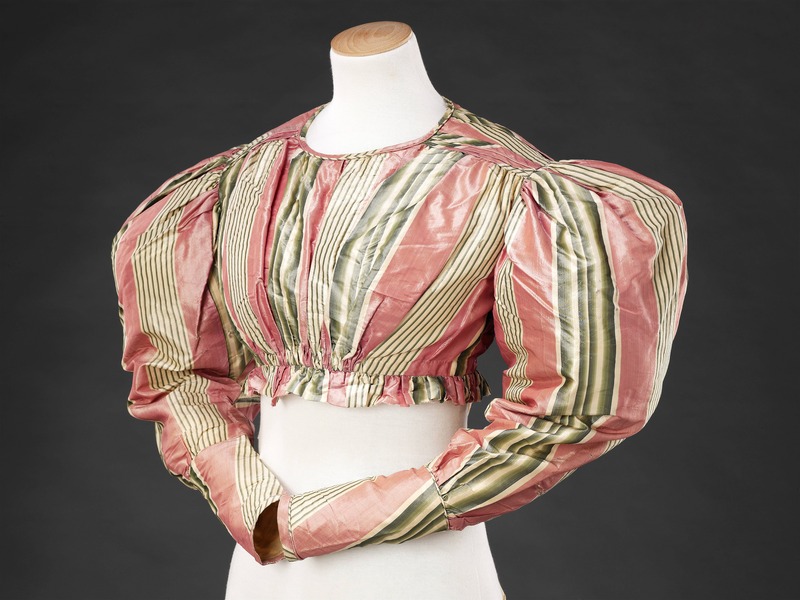 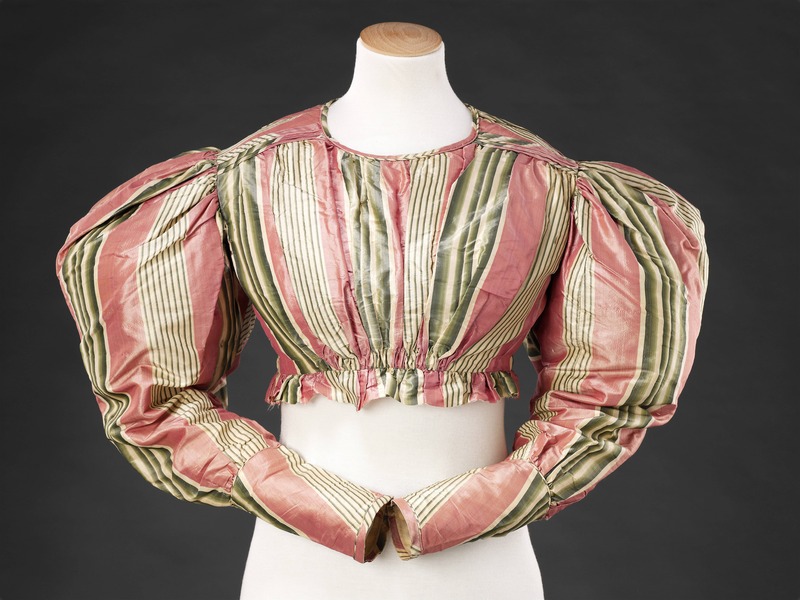 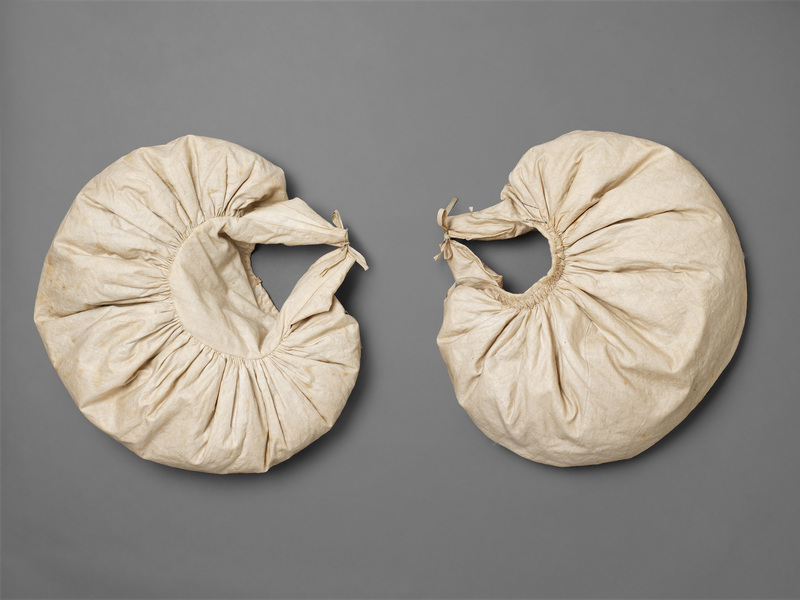 It retains, however, the pair of inner supports which gave shape to the fullness of the upper arm of the fashionable ‘gigot’ sleeves. 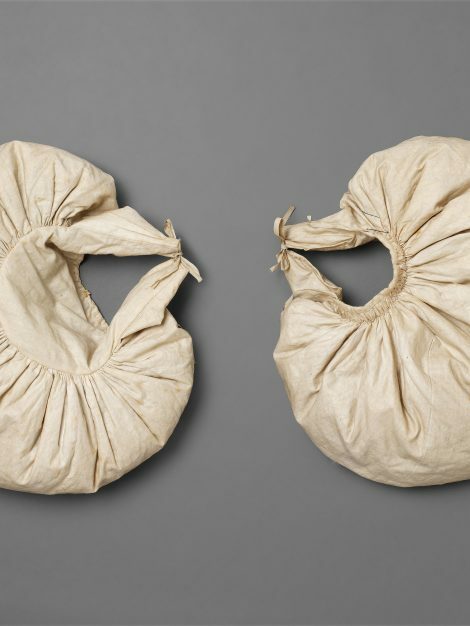 These are made of cotton, padded with feathers, with tapes on the inner side to attach them to the underwear.